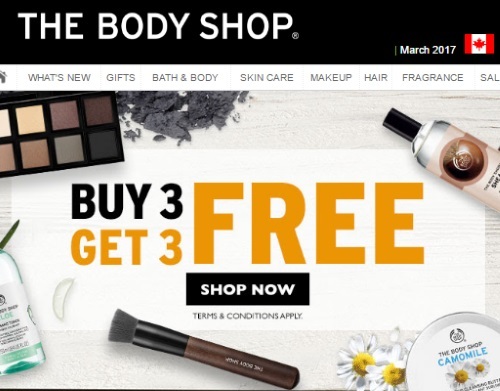 The Body Shop's Buy 3 Get 3 Free is back! For a limited time when you buy any 3 items you can get another 3 free! Offer is valid March 10-12, 2017.